Have you ever been to a cafe where it feels like they hired random people off the street and trained them five minutes before you walked in? Or maybe you gave up on the barber shop down the street in exasperation because every time it was a different experience. Most likely, the problem with those businesses was that they didn’t have any systems for taking care of their customers. Systems are everywhere. Think of the last time you ordered a large Double Double at a Tim Hortons. Was there anything unexpected about the process, or about what you were getting? And isn’t the experience and the coffee just about the same, no matter which Tim Hortons you visit? Yet your experience at Tim Hortons was likely a world apart from what you would expect at Coffee Culture. Systems are repeatable processes, procedures and methods for taking care of your customers’ needs that ensure your customers receive a consistent and predictable experience every time. They can be in the form of scripts, flowcharts, instructions or checklists. But they must be documented and taught, and not stored solely in the heads of your key employees. Carefully designed systems create an experience for your customers that is unique to your business. They set your company apart from the competition. They make the experience memorable. When you create an enjoyable experience for your customers, they’ll come back. Make the experience exceptional, and they’ll tell their friends about you. What kind of experience do you want your customers to have? What kinds of feelings do you want to evoke? Comfort? Indulgence? Stability? You are only limited by the creativity of yourself and your team. Find out what your customers want and deliver it. Online surveys can help you gather that information, and create the kinds of goods and services they want. Did you know that up to 80% of people buying professional services will check out your website first? That means your website needs to be customer-centric and speak to their needs. And with more than half of all searches now being done on tablets and phones, your website needs to be mobile-friendly as well. Is it easy for visitors to find what they want? Context-driven chatbots can help visitors out if they get lost or confused. By using technology to automate systems for interacting with web visitors, you’ll save time answering those questions yourself, and make it easier for them to engage with you. What systems do you have in place for responding to inquiries for your services? Do you have a scheduling app on your website to allow visitors to make an appointment to speak with you? What happens when someone fills out the Contact Us form on your website? Setting up an automatic response can make them feel like someone cares. Adding a newsletter sign-up form to your website allows you to capture names and email addresses for follow up. An automated and customized email series based on information from your CRM will help keep them engaged with your company. Your follow up system will be most successful if you’re not focused on getting a sale, but rather on being helpful and on developing a relationship. Without systems, you invite chaos. It’s hard for your employees to keep track of the different pieces of your services. They won’t always do their jobs well. But when you leverage technology to automate your key workflows, you and your team won’t have to keep everything in their heads at all times. It makes it easier to be consistent with timelines and processes. 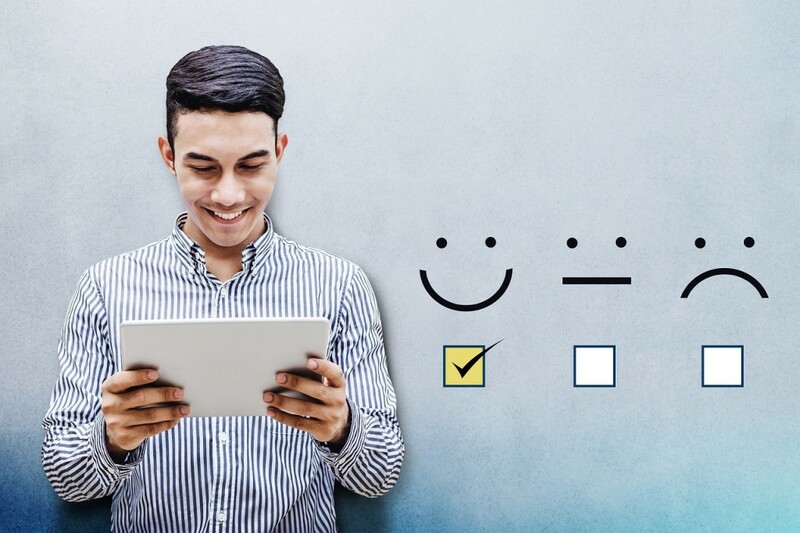 Customer-centric systems ensure that your customers are treated consistently in all their interactions with your business. Automating those systems makes it easy for your employees to deliver an outstanding customer experience, every time. When your customers are treated in a consistent and predictable manner that makes them feel good about spending their money and time with you, they’ll come back, and they’ll send their friends and relatives to you as well. Systems are the building blocks for creating exceptional businesses. They make it possible for solo entrepreneurs to hire employees, yet make sure the work is still done the same way. By documenting and automating the processes that your most brilliant team members use, you’ll enable other team members to recreate the effective and efficient ways your best people work. The key to leveraging technology to automate your workflows and systems is getting all the pieces to work together. Without an integrated system of apps, you can lose all the efficiencies of technology when you have to use manual processes to get the pieces to work together. Fortunately, Zoho One does that for you. Imagine a suite of 40 integrated apps to manage your sales, marketing, accounting and website, all in one place. Here at The Storytelling Bean Counter, we’ve been working with business owners to help them develop systems for Zoho One apps that let them run their entire businesses from one place. Systems plus automation means you’ll spend more time working on your business, and less time working in your business. And when you can spend more time working on your business, you’ll find new ways to delight your customers! 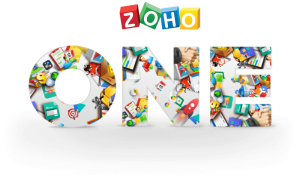 Need help designing systems with Zoho One for your business? Contact our office to find out how we can help you transform your business into the business of your dreams! Drop us a line at info@storytellingbeancounter.com or call 905-201-1174 to get started today!